SELCO Solar Pvt. 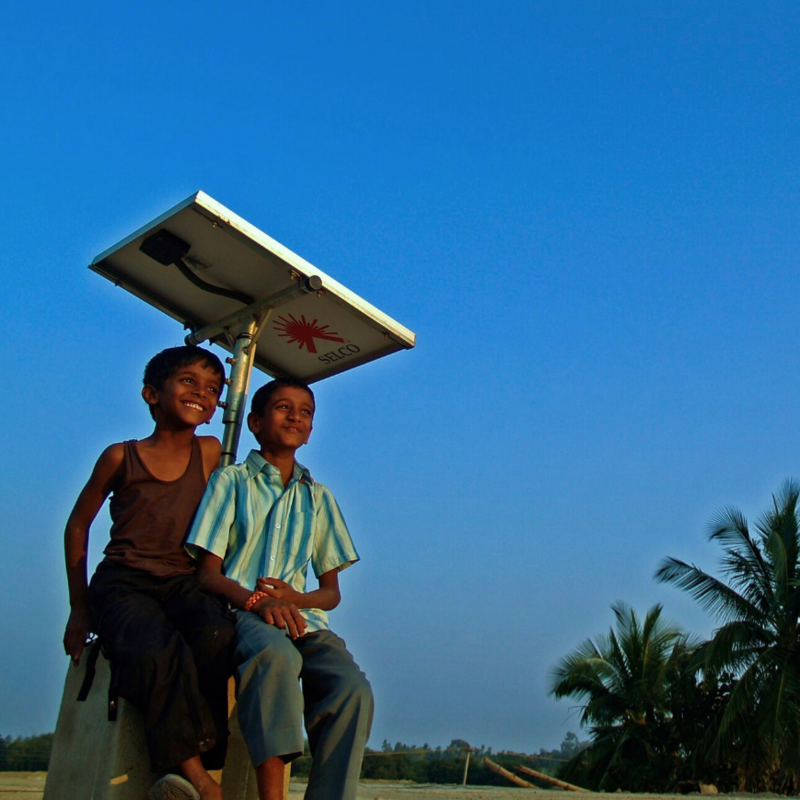 Ltd, a social enterprise established in India in 1995, provides sustainable energy solutions and services to underserved households and businesses. Since its founding, SELCO has reached more than 1.2 million people with its solar-powered lights and appliances. SELCO aims to empower its customers by providing a complete package of product, service, and consumer financing through banks, cooperatives, commercial banks, and micro-finance institutions. In 2010 SELCO Foundation, an independent, not-for-profit, was created to build on SELCO Solar's experience that a holistic ecosystem approach to reliable energy services is needed to propel impoverished people out of the poverty trap. The Foundation uses sustainable energy to catalyse development through customised technology and innovations in financial and operational models. It takes an integrated approach to finding solutions, capturing lessons learned, and disseminating information with an open-source model. SELCO Foundation's Incubation programme nurtures and empowers the next generation of sustainable energy entrepreneurs who are working to benefit underserved communities. Good Energies Foundation first invested in SELCO Solar in 2008. We support the SELCO Foundation (including the incubation programme) as they work to improve India's ecosystem of distributed renewable energy. SELCO’s early focus on creating opportunities for its customers to affordably finance their solar purchases has led to local systemic changes and increased financial inclusion. Find more information on SELCO Solar, including these videos.